The day is not distant in the long tract of Time, when we shall be stripped of that essential article [live Oaks]. The Europeans will laugh at us, our Children will rue the folly of their Fathers. For every live Oak you cut down you ought to Plant ten young trees … but few of us Southern Americans have patience to look forty years forward, we are for grasping all the golden Eggs at once. Trolley cars made their first run on the new Hampton Park loop. 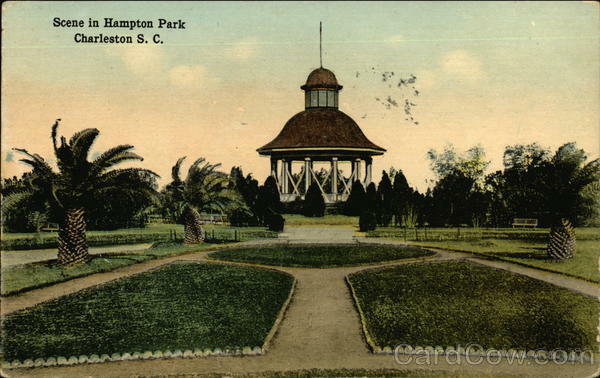 Hampton Park had just opened to the public and was drawing huge crowds of people from downtown Charleston. 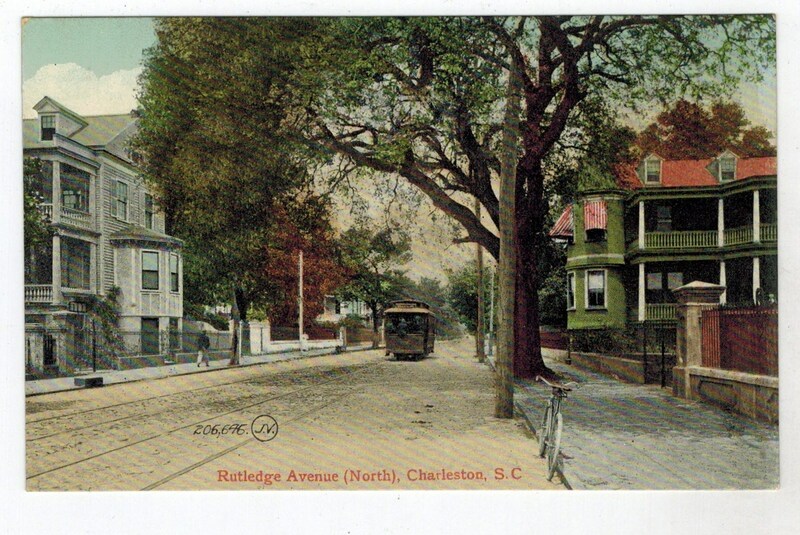 At this point two Charleston trolley companies were operating 30 horse-drawn trolley cars daily. Hampton Park was built on the site of (and out of the dismantling of) the Expo Grounds that had closed the year before. Trolley car on Rutledge Avenue. This route ran all the north to Hampton Park. This entry was posted in History - American, History - Charleston, History - South Carolina, Today In Charleston History, Today In History and tagged Charleston trolley cars, Hampton Park. Bookmark the permalink.